Google has added the Photos app into its list of Progressive Web Apps (PWAs) and with Chrome 67, these apps can be added using the Chrome browser on the desktop. 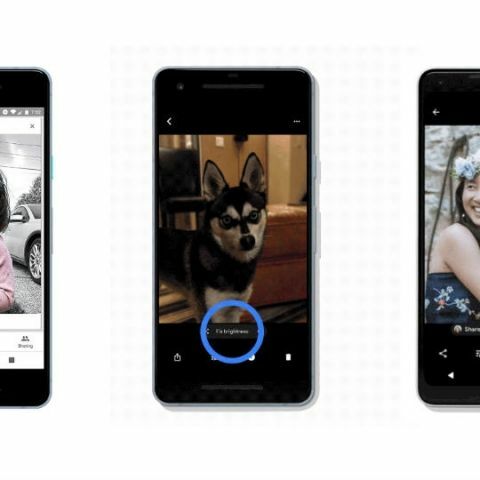 Google Photos is now a Progressive Web Apps (PWAs) which means that users will now be able to enjoy a feature-rich experience when they visit photos.google.com on their phones. Google Photos is the latest addition in the PWA list that already has Google Maps, Google Contacts, and Google Plus. The development was first posted on Twitter by Kenneth who is a Web Platform architect at Intel and is Google Dev Expert. PWAs are web applications that are regular web pages or websites, but can appear to the user like traditional applications or native mobile applications. Google PWAs are installable and live on the user's home screen, without the need for an app store. They offer an immersive full screen experience with the help from a web app manifest file and can even re-engage users with web push notifications. Since Chrome 57 on Android, users have been able to add PWA to their handset’s home screen. With Chrome 67, these apps can be added using the Chrome browser on the desktop. According to Android Police, some users were unable to see PWA option option on their desktops. In this case, users can copy paste chrome://flags/#enable-desktop-pwas in the browser’s uni-bar, enable the feature manually and then relaunch Chrome browser. Google recently announced the latest Chrome 67 (67.0.3396.68) for Android and desktops, which comes with native support for Augmented Reality (AR), Virtual Reality (VR) and Progressive Web Apps. When Progressive Web Apps (PWA) landed on Android, they made it easier to keep track of favourite services without the need for installing an app. Websites, which support PWAs can be pinned to a smartphone’s home screen while surfing on Chrome and the same will now be available for the desktop version as well. Which SDK is used to develop BlackBerry Web Apps? How to restore synced mobile contacts from Google Account to Desktop?